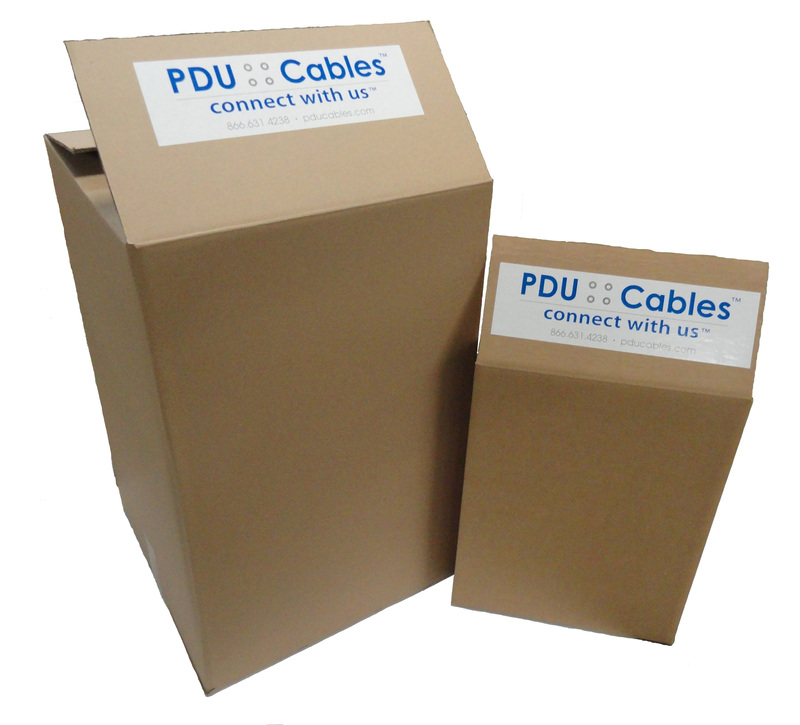 PDU Cables offers several different packaging options to meet our customers unique needs. To maintain cooling efficiency and capacity and avoid outages due to electrical shorts and overheating, it is important to limit contaminants from entering the data center environment. That's why PDU Cables wipes each power cable prior to packaging to ensure cleanliness. Each cable is coiled from shortest to longest cable length for ease of in-row installation, and packaged by PDU designation (or any other customer provided specification). Each cable shipping package is labeled with a sheet identifying exact contents, showing Hi-Pot test results, and loaded onto a standard shipping pallet for quick movement with a forklift or pallet jack. PDU Cables has been packing and shipping its branch circuit power distribution cable assemblies in fiber barrels for many years. The majority of our customers have preferred this method of packing cables for delivery to the job site. The barrel shape makes edge rolling barrels around the job site easy and facilitates instalaltion. The tough fiber barrels and secure lids limit dust and debris from collecting on the cleaned cables while in transit or as they wait to be installed. And lets be honest, who hasn't seen the emptied barrels used to collect trash during the construction process or repurposed as as trash barrel placed around a warehouse or at loading docks. For smaller cable orders, or if you prefer a basic box, PDU Cables has several box options for you to choose from. As with the fiber barrels, each box includes a sheet identifying the contents and results of the Hi-Pot test. On larger new construction projects some of our customers request the cables be packaged into Gaylord bins that can be moved about the job site with forklifts or pallet jacks. For those high-level security sites, PDU Cables can even provide you with collapsible wire Gaylord containers. 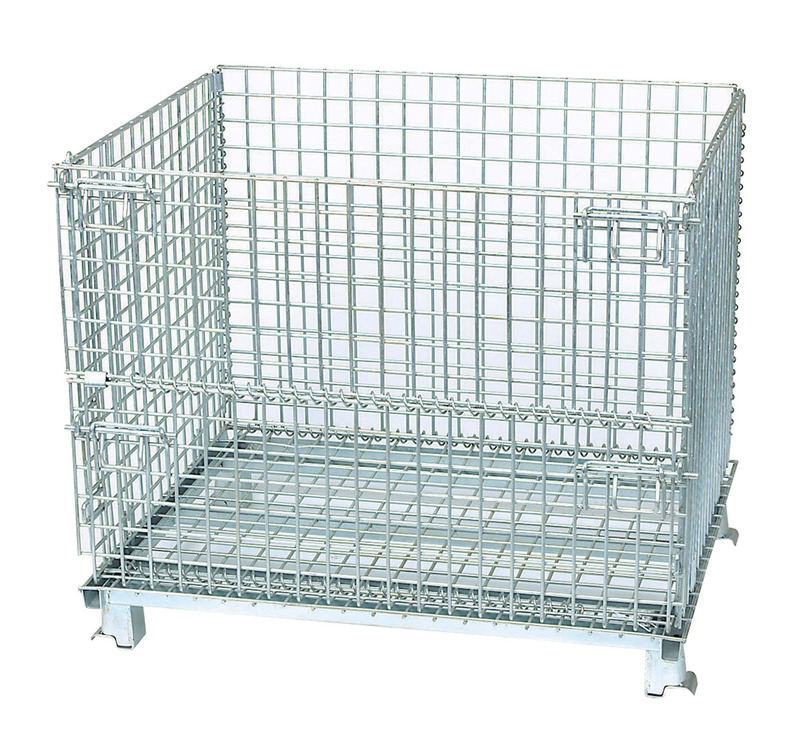 The zinc-coated steel with open mesh construction and fold down gate allows for excellent visibility, ventilation and access. Ask you your territory manager for more information. If you have special packaging needs, give us a call and we'll solve them.